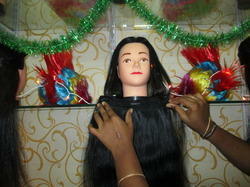 We are the leading Suppliers and exporter of quality Remy Human Hair, Hair Wig, Human Hair Wigs. 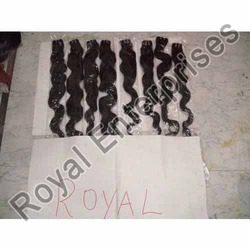 We offer remy human hair wig, remy hair extensions, lace wigs, remy single drawn hair machine weft hair, human hair etc. 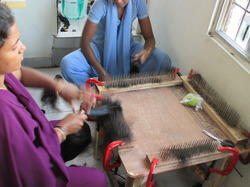 We are involved in making of human hairs for fullfilling the artificial hair needs of the users. 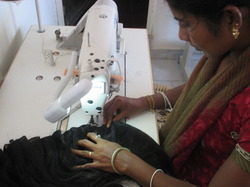 We design the human hairs according the trend and ongoing fashion. 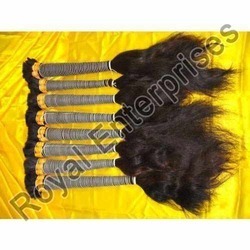 We are reliable supplier and exporter of a wide variety of Remy Human Hair Wig. 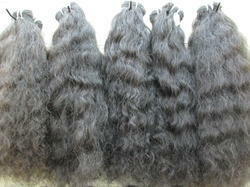 These human hairs are stylish and durable, which are made available at market leading rates. Volume and length to the hairs can be added with our remy hair extensions product. Trendy and revamped look to the person can be credited to the look which is provided by hair extensions. Our hair extensions are not just limited to one or two shades but we provide 100 bleached shades for stylish and wonderful look. Wigs not just to hide the baldness or hair patches but also for the trendy looks. We offer diverse variety of wigs which not just desired for the quality but also looked by many for getting the look they desires. Wavy hair lace wigs, straight hair lace wigs, wavy and curly hair wigs are few from the list of our smart wigs. Our variety of human hair extensions is known for its impeccable and smooth finishing. 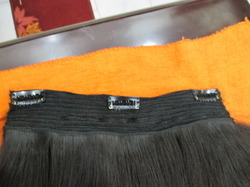 We make extensions resembling like human hairs. There are huge varieties of colors which are offered by us at market leading rates. 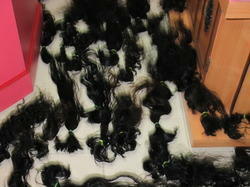 We provide the human hair extensions at market leading rates. 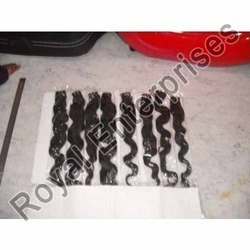 Exporter of a wide range of products which include double drawn hair, machine weft straight hair, straight virgin hair, 7 a quality indian human hair and human wavy hair. 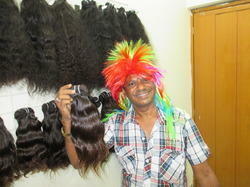 We are a leading Exporter of machine weft brazilian hair, afro beauty human hair and human hair from Chennai, India. 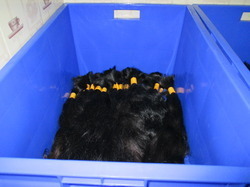 Our variety of Non Remy Hair is quality-checked in all the stages of production and designed under the most hygienic conditions. Further, our array of Normal Non-Remy Hair is preferred for high quality, natural appeal and longer life. Flexible and long lasting factor makes our non Remy hairs highly desired. 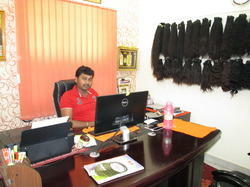 We provide length of the hairs as per the specifications of the clients. 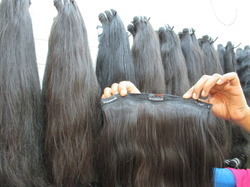 We bring forth premium quality of Human Waste Hair that is made using finest human hair. These hairs are collected from shaved heads of humans and temples and salons are the resource for the same. 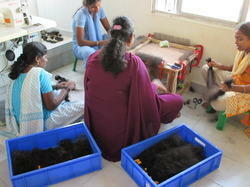 The hairs then collected are used to make different styles of hairs. The collected hairs are then washed and then arranged in uniform way after removal of wanted hairs. Our range of clip on extentsions are for trendy and wavy look in the hairs. These clip on extentsions are tangle free and have smooth finish. We are well known clip on hair extension importer and exporter. These extensions can bring shine and bounce in the hairs. 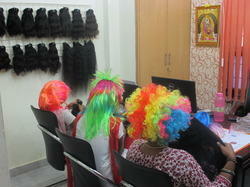 The hair extensions are offered by us at market leading rates. 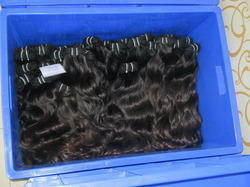 The body wavy machine weft hair, we offer have, outstanding finish and shine. These hairs are made using superior quality hairs. These hairs can be donned on any occasions for glamorized look. 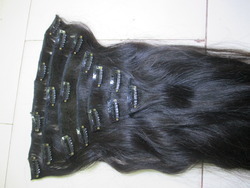 We make body wavy machine weft hair at market leading rates. 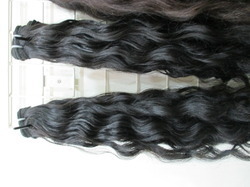 We are involved in making of deep wavy machine weft with smooth texture and shiny finish. These hairs are smartly crafted with beautiful appeal. There are available in variety of designs and colors. 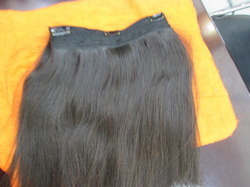 We provide the weft hair at market leading rates. Jackson Wavy Machine Weft Hair is available for usage in wide range of applications as desired by the clients. 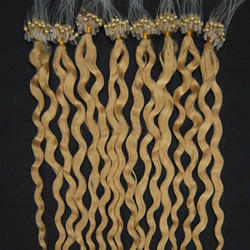 These are available in wide range of colors, skin weft, size and length. 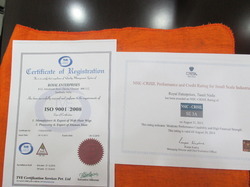 We also take care of the specifications offered by the clients. We supply and export wonderful variety of Skin Weft Hair, made using polyurethane strip and is applied to the hairs using tape. People with thin hairs and baldness can use this to cover their heads. These are highly appreciated by our international clients, as they are excellent in quality and easy to use. 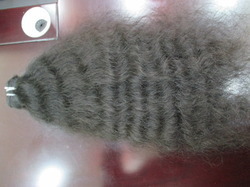 These hairs are made from 100% natural human hair of same length. We offer these hairs in the varied length range of 6” to 36”. These hairs are washed, cleaned, dried and combed to remove any impurities. We hold specialization in manufacturing Indian Remy Human Hair Wigs that are available in natural colors such as black & brown. 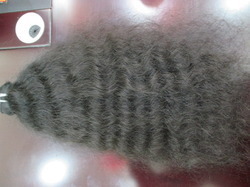 These are also available in a variety of wavy & curly patterns like such as Standard, Natural, Indian & African Styles. 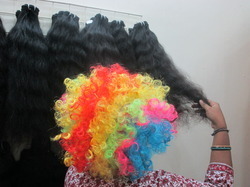 These hair wigs can be dyed in any color as per the preference stated by the buyers. Considering varying needs of our clientele, these wigs are offered in a number of sizes ranging from 8 to 40 inches. 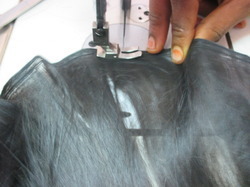 We also offer single drawn & machine weft in a number of styles & shades to choose from. These are manufactured using machine weft process in varied styles, thin or thick machine wefting process. Our range of Human Hair Extension is manufactured using the latest technology. We make use of quality human hair and crafted into different styles and lengths. The range of human hair extension enhances the look of the wearer and can remain stable for a long period of time. 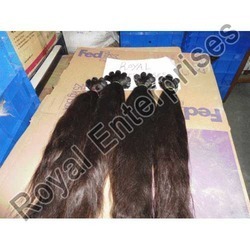 We are one of the leading manufacturers and exporters of remy single drawn hair. 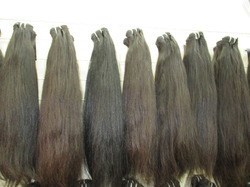 These remy human hair, single drawn hair are known for their quality and diverse colors. The roots of the remy hair are on one side and the tips are on the opposite side. 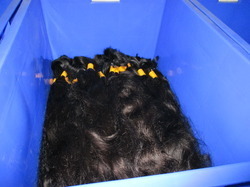 Leveraging on an authentic vendor base, we are offering a comprehensive assortment of Indian Human Hair. Widely acknowledged by our clients for its lustrous appearance and smooth texture, the range is offered at affordable prices. 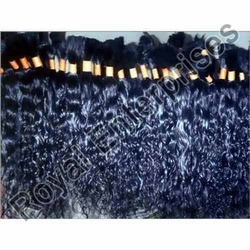 Pioneers in the industry, we offer wavy color hair, virgin human brazilian hair, clip on remy hair, world market hair and indian human beauty hair from India. 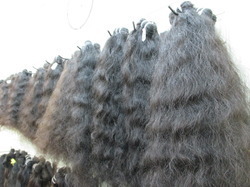 Leading Exporter of 100 % best human hair, body wavy hair, jackson wavy hair, virgin black hair and human hair from Chennai. Our range of products include human hair, temple virgin human hair, natural human shine hair, indian human hair and deep wavy hair. Our range of products include indian bulk human hair, human hair, clip in straight hair and beauty look human hair. Exporter of a wide range of products which include 7set clip on hair extension and clip on hair extension.